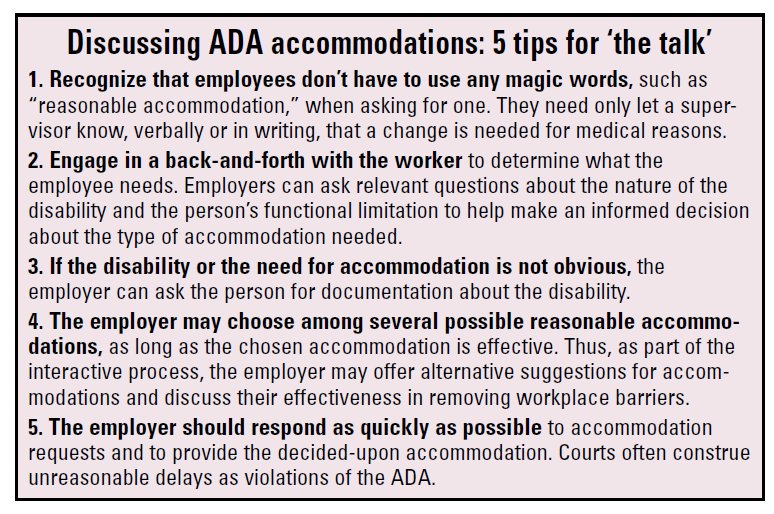 Clear, common-sense employment law advice that cuts directly to the bottom line. Heaven knows, management isn't supposed to be about tip-toeing through a legal minefield every working day. But it is. And that's just a fact of life. Indeed, even the most conscientious, compassionate employer can be dragged into court by today's crazy, Byzantine employment laws. 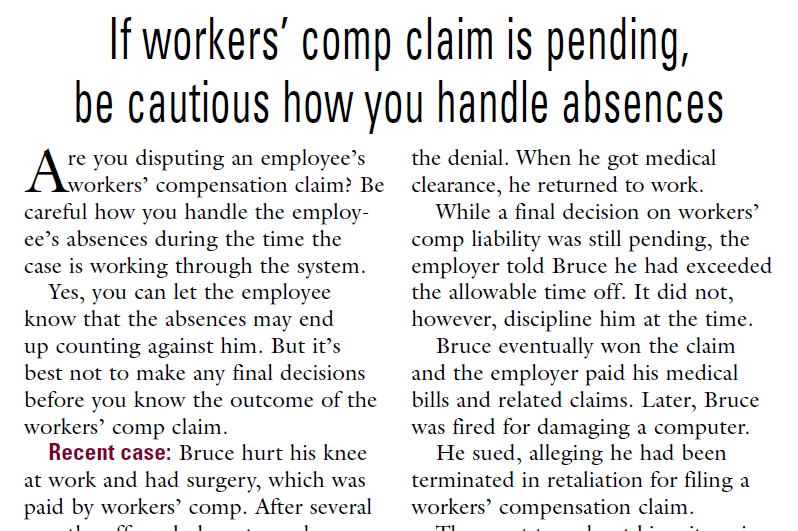 Recent cases … legal strategies used against employers … mistakes employers often make … new court rulings — and what they mean to you. 1 Year Subscription (12 monthly issues). Every issue of HR Specialist: Employment Law puts your mind at ease with authoritative answers to the questions you may have. When you subscribe to HR Specialist: Employment Law, you're compiling a library of advice and training. Download whatever PDF you need anytime in addition to receiving your print edition in the mail. anytime action is required to protect yourself against new threats. Click here to instantly see the kind of current and concise information our editors assemble for you every month. Must you grant federally protected family leave for tummy tucks and nose jobs? When can employee-transfer decisions put you in legal jeopardy? Can mandatory arbitration agreements work for you? E-mail: Why is it the electronic equivalent of DNA evidence? How can the term "laid off" come back to haunt you? How can you enforce a drug-free workplace without raising privacy issues? Can a bonus plan free you from paying overtime to nonexempt workers? More than one-quarter of all civil lawsuits filed today are employment-related. 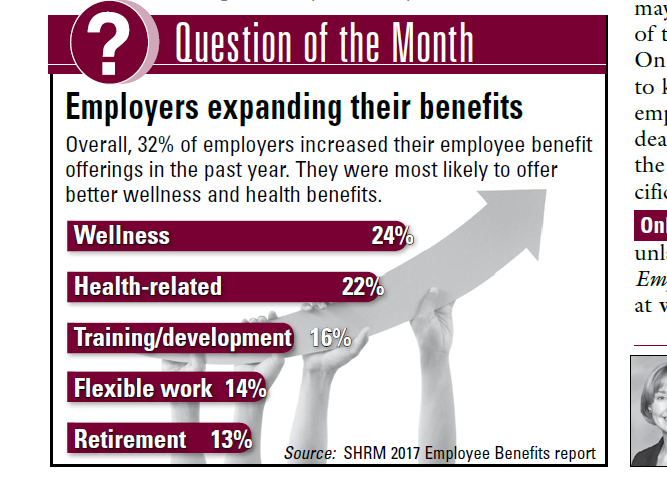 What's more, employers lose 60% of these cases–and the typical award is $500,000 and climbing. Even worse, many workers are not just suing their employers; they're suing their former managers, who can be forced to pay out of their own pockets. When a legal calamity happens, thousands of savvy executives literally drop everything to devour this modest-looking publication as if their organization's future depends on it. In a nutshell, this unusual source is avidly read because readers know that any given issue is likely to contain vital intelligence that could save them from expensive, morale-draining employee lawsuits. 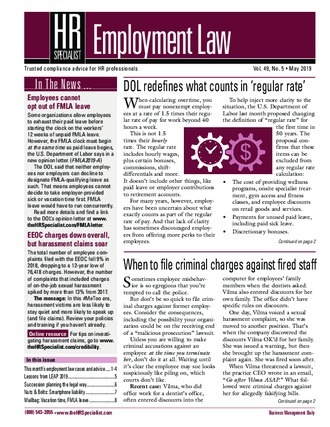 Subscribe to HR Specialist: Employment Law completely risk-free! If at any time up until the last issue of your subscription you are not happy, simply let us know and we'll rush you a 100% refund. All of the past issues and valuable reports are yours to keep, just for giving HR Specialist: Employment Law a try. Big multi-copy discounts on HR Specialist: Employment Law are now available, because this is the kind of information that needs to go viral within your organization. Contact Adam Goldstein at 703-905-4537 to take advantage of the savings.